Which of these four Sigma and Tamron super-telephoto zooms with a 150-600mm range should you go for? The most popular telephoto lenses for photographers in the market right now the are 70-200mm and 70-300mm zooms. But when you want to get really close to the action, then it's wise to check out the best 150-600mm lenses on offer. These are for when you need to cover serious distance, for example at a motor-racing circuit or air show, when you physically can’t get as close to the action as you might like, and where the 70-200mm and 70-300mm zooms are likely to come up short. The same applies if you’re shooting smaller objects at a relatively close distance, like birds in flight or even in the garden. One solution is to use a teleconverter, but these are often incompatible with 70-300mm zooms and you’re likely to take a hit in autofocus speed and consistency, as well as image quality. So-called ‘super-telephoto’ lenses can give you the extra reach you need, but many only stretch to 400mm or 500mm at the long end of the zoom range, and powerful super-telephoto prime lenses tend to be very expensive. Sigma and Tamron both market 150-600mm zoom lenses, which give massive telephoto reach, even on a full-frame DSLR camera body. Mount them on an APS-C format body and the 1.5x crop factor gives an even greater ‘effective’ zoom range of 225-900mm. On Canon APS-C EOS bodies, the larger 1.6x crop factor delivers an even mightier 240-960mm zoom range. Both of Sigma’s lenses are available in Canon EF and Nikon F mount options, as well as for the Sigma’s own camera bodies. Again, Tamron makes Canon and Nikon edition of its original and second-generation 150-600mm lenses, but adds Sony A-mount versions as well. There's a decent amount of choice out there then, so let’s weigh up the pros and cons of all the options. As one of the ‘Sport’ lenses in Sigma’s Global Vision line-up, the Sigma 150-600mm f/5-6.3 DG OS HSM | S is built for speed and optimum performance. The whole of the front section of the lens is a lot larger than in Sigma’s Contemporary class lens, and contains two rather than one top-grade FLD elements. The aim is to boost image quality but it comes at the price of size and weight, this lens being nearly a kilogram heavier than any other 150-600mm lenses, at 2,860g. Advanced features include a manual override focus option, in which you can swap to manual focusing simply by twisting the focus ring, without waiting for AF to initially lock onto an object. Dual-mode stabilisation has switchable static and panning modes, and the zoom lock switch works at any focal length setting that’s marked on the barrel. Customisation of autofocus and stabilisation are available, along with the application of firmware upgrades, via Sigma’s optional USB Dock. Up-market build quality includes metal barrel sections and lens hood, and a full set of weather-seals. Image quality is excellent and the Sport lens retains better sharpness at the long end of the zoom range, compared with Sigma’s 150-600mm Contemporary edition. Distortions are also reduced a little, and autofocus speed is fractionally faster. This is a top performer, and is great value considering its pro-grade build quality. This G2 (Generation 2) edition of Tamron’s 150-600mm lens is upgraded in pretty much every facet of its features, handling and performance. The LD (Low Dispersion) element count goes from one to three, and BBAR (Broad-Band Anti-Reflection) coatings add to the older lens’s eBAND (Extended Bandwidth and Angular-Dependency) coatings, to further suppress internal reflections. The uprated autofocus system delivers faster performance, better able to track moving subjects and the redesigned VC (Vibration Compensation) system gives class-leading 4.5-stop effectiveness, plus two additional switchable modes. The second mode is for panning and the third applies stabilisation only during exposures, making it easier to track erratically moving objects. However, the optical stabiliser is only featured in the Canon and Nikon mount editions of the lens. With the Sony-fit edition, you’ll need to rely on in-camera stabilisation. Going one better than the Sigma 150-600mm lenses, a new flex zoom lock enables you to lock the zoom at any position, rather than just at settings for which a focal length is marked on the barrel. 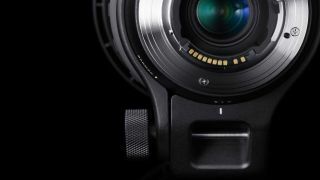 It also matches the Sigma lenses with compatibility for an optional USB dock, which Tamron calls a ‘TAP-in Console’, for applying customisation and firmware upgrades. There’s only a marginal Increase in size and weight over the original Tamron (see below), but the G2 gets superior weather-seals and a fluorine coating on the front element. Overall build quality feels superior. Living up to Tamron’s claims, the G2’s autofocus speed and the effectiveness of its image stabilisation are excellent. Image quality is very good overall, but sharpness is a bit of a mixed bag. In our tests, it proved slightly less sharp than the original Tamron lens at short to medium zoom settings, but rather sharper in the 400-600mm sector. It’s a good trade-off, as you’ll usually find yourself using the lens towards the long end of its zoom range. Nearly a whole kilogram lighter than Sigma’s 150-600mm Sport zoom, this Contemporary edition is the most lightweight 150-600mm lens on the market. That said, the Sigma 150-600mm f/5-6.3 DG OS HSM | C is only marginally lighter than the original Tamron 150-600mm (below) and almost exactly the same size and price. Despite its comparatively budget price tag, the Sigma Contemporary lens packs plenty of trick features. These include three focus modes including MO (Manual Override), which switches the lens to manual focusing as soon as you twist the focus ring, a dual-mode optical stabiliser for static and panning shots, a three-pole autofocus limiter switch that can lock out either the short or long end of the range, and two custom modes that you can set up via Sigma’s optional USB Dock. As with the Sport line lens, the zoom lock switch can be engaged at any marked zoom length. Optical finery includes a top-grade FLD (Fluorite Low Dispersion) element and fluorine coatings on the front and rear elements, which repel moisture and ease cleaning. The lens lacks a full set of weather-seals but does at least feature a weather-sealed mount. This avoids the ingress of dust and moisture in the joint between the lens and camera body. The Sigma Contemporary lens has good sharpness throughout the zoom range but loses out slightly to the Sigma Sport edition and the new Tamron G2 for sharpness at 600mm. Colour fringing and distortions are fairly low, and autofocus performance is fast and accurate. All things considered, its features and performance make it unbeatable value for its price. This first-edition of Tamron’s 150-600mm is still widely available and is very similar in terms of size, weight and price to the Sigma Contemporary lens. It’s well-built and features quality glass including one each of Tamron’s LD (Low Dispersion) and XLD (eXtra Low Dispersion) elements, the latter offering similar performance to top-grade fluorite glass. Tamron’s eBAND coatings are also on hand, to minimise ghosting and flare. The Tamron is a little lacking in advanced features, compared with Sigma’s lenses. For example, there’s only one autofocus mode with no manual-priority override mode. This means that manual override is only available in Single or One Shot autofocus mode, and the autofocus system needs to lock onto an object before you can override the setting. The image stabiliser only has a single operating mode and, in our tests, we found it to be quite ineffective when panning. The lens isn’t compatible with Tamron’s TAP-in Console for USB connectivity, nor with the company’s new tele-converters. That said, we definitely wouldn’t recommend using a teleconverter with any 150-600mm lens. And finally, the zoom lock switch only works at the shortest zoom setting. Autofocus speed is pretty rapid and sharpness is good through most of the zoom range. However, sharpness drops off more noticeably at the longest zoom setting than in any other current 150-600mm lens. Overall performance and image quality are good but the lens is completely outclassed by Tamron’s new G2 edition.